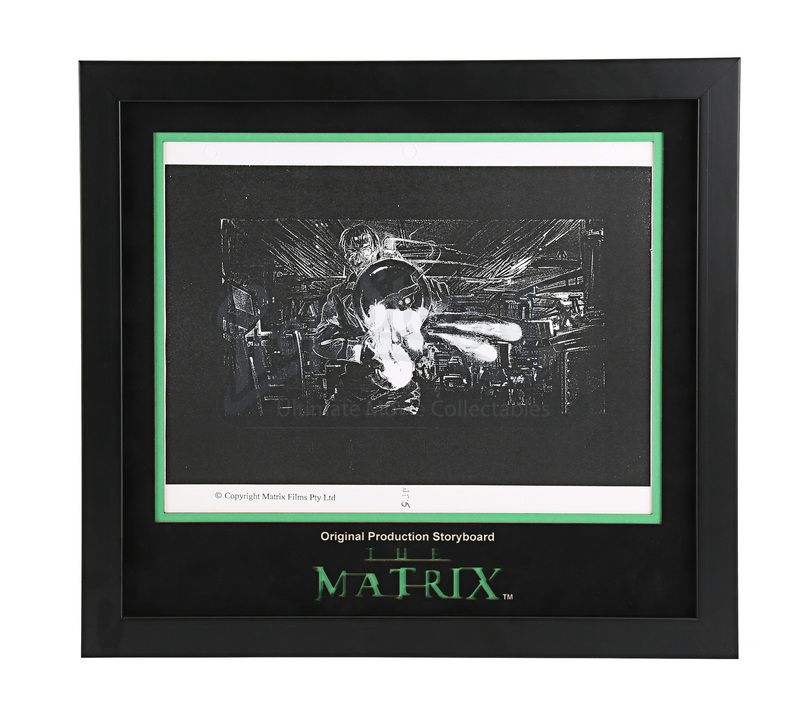 A framed production used storyboard copy from the Wachowskis’ sci-fi action film The Matrix. Software programmer Thomas Anderson - otherwise known as the computer hacker Neo (Keanu Reeves) - is contacted by Trinity (Carrie-Anne Moss) and led to an underworld. There he meets the elusive figure Morpheus (Laurence Fishburne). 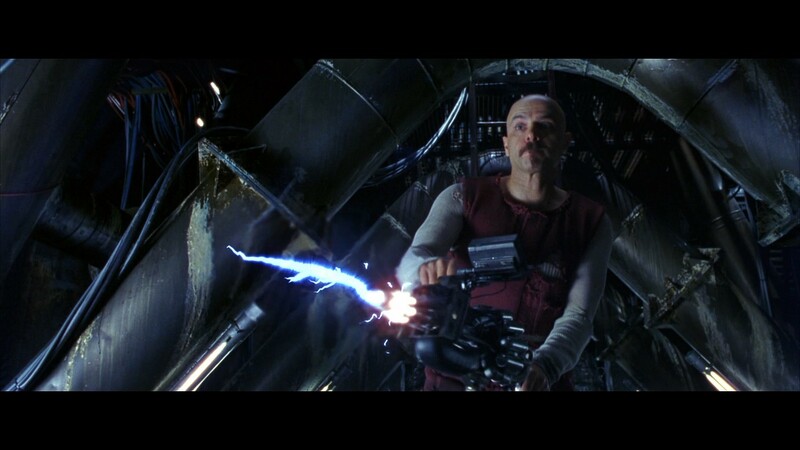 Neo soon learns the truth about the artificial reality known as the Matrix and must battle against its controllers. 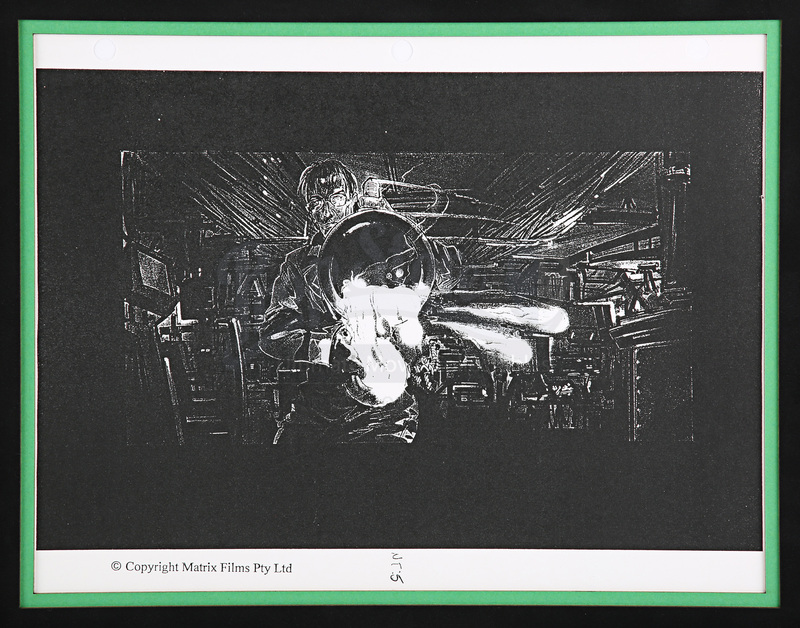 This storyboard was used for the film's extensive special effects and shows an image of Cypher (Joe Pantoliano) shooting Tank (Marcus Chong) from behind with a lightning rifle before trying to betray the others. Printed in black and white on A4 paper, the illustration is marked with a small production code ‘NT:5’. The page has been hole punched at the top, where it was grouped in a sequence, forming a comprehensive shot-by-shot version of the film's special effects. Each sheet has “© Copyright Matrix Films Pty Ltd” printed. The storyboard comes beautifully presented in a custom-built framed display with laser-cut mount board featuring the classic movie title. The piece is in excellent condition. Materials: Card, Wood, Paper, Ferrous Metals.